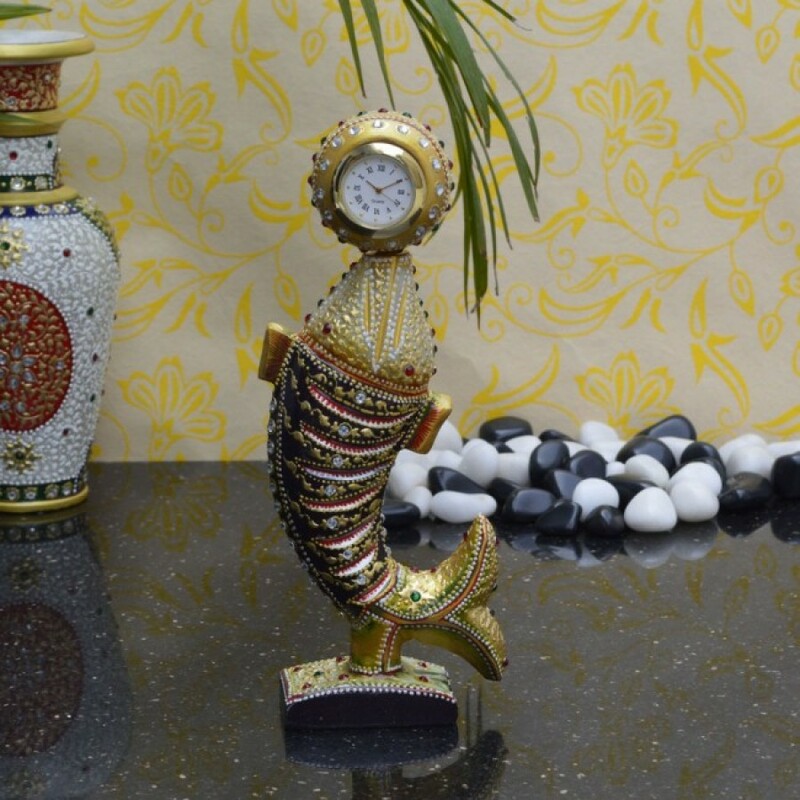 Beautifully designed, this "Decorative Marble Fish Clock" doubles the beauty of your table top, adding to the charm of your decor scheme. Etched on a pristine white marble it sports a beautiful finish and lends a stunning appeal. Embossed work on the fish body has been styled in unique way which adds grace to its visual appeal. The classic colour combination ensures that it looks good against both pale and dark backgrounds. Its versatile design, Intricate artistry and superlative craftsmanship makes this ideal for your loved ones, family and friends.